OXFORD, Miss. 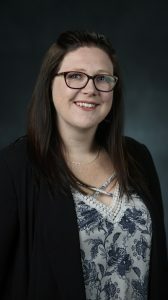 – Nicole Ashpole, an assistant professor of pharmacology in the University of Mississippi School of Pharmacy, has been awarded a grant from the National Institute on Aging to research memory impairments in advanced age. With this award, Ashpole and her team will explore a specific hormone in the body that decreases with age, as well as its ability to communicate with the brain and its effects on learning and memory. The hormone is insulin-like growth factor-1, or IGF-1. Ashpole hopes to gain insight into IGF-1’s influences on cognition and its importance to the overall function of the aging brain.